Home of SmartCompliance™ the ONLY First Aid Program that GUARANTEES OSHA Compliance and a lot more. 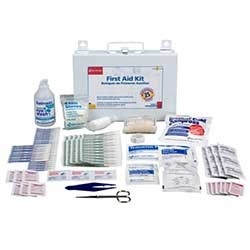 ALL FIRST AID KITS. 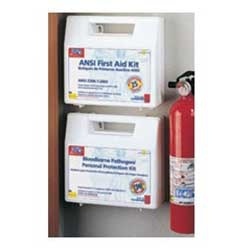 ANSI First Aid Kits, Business First Aid Kits, American Red Cross Kits, Auto First Aid Kits, First Responder Emergency Kits, Safety Kits, Medical kits and CPR Kits, Pet Emergency First Aid Kits, Sports and Outdoor First Aid, Boat & Marine, Contractors, Welders, Bilingual and Spanish First Aid Kits, Whatever your specific First Aid Kit requirements are, we have you covered! 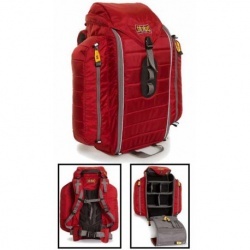 High End Adventure Medical Kits, Wilderness first aid kits, first aid kits for Kids, first aid kits for Dogs,First Responder kits, American Red Cross first aid kits, Sports first aid kits, Home, Auto, Boat, All Purpose First Aid Kits, Soft sided or High Impact Plastic Cases. Check out our huge selection! 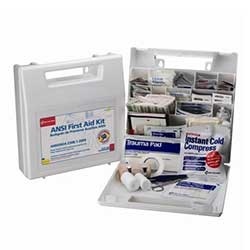 ANSI Compliant First Aid Kits for Commercial, Business and Industrial use. New Kits meeting ANSI Z308.1-2015 Standards for Class A & B, and types I, II, III and IV. 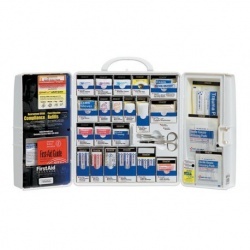 Make sure you are OSHA/ANSI compliant with our ANSI First Aid Kits and ANSI First Aid Kit Refills. 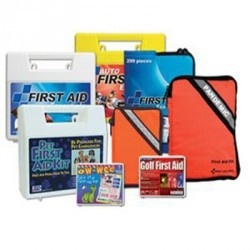 Our first aid kits are designed to meet most any need and application as a result of years of design experience using the best materials available. We strictly follow Osha/Ansi guidelines so you can be comfortable your first aid its is fully compliant. 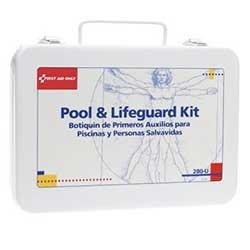 Upgrade and refill packs are available for most kits as well as individual items to keep your kit properly filled and ready for any emergency or inspection. Construction work is one of the most risky activities. Every day there are accidents that result in minor injuries. For that reason, we offer contractors first aid kits designed by specialists, so workers or their colleagues are able to apply on site medical assistance in an easy and effective way. 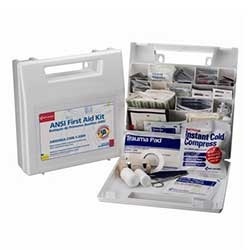 Our contractors first aid kits are designed to meet and exceed ANSI / OSHA requirements, and contain everything you need for eye and hand injuries, as well as trauma and other situations that may cause loss of consciousness. Be safe, work safe, construct safe. Have at hand everything you need around the pool. From insect bite relief, everything you need to treat minor scrapes and bruises, to most importantly, a CPR one-way valve face shield in case of an unfortunate accident but also to protect you or any other potential rescuers from cross contamination when performing CPR. Serving your customers the best and most delicious dishes in a timely manner can always be risky when using knives and fire. This is why we have well-equipped cabinets and kits specifically designed for the food service industry which contain the necessary material to keep the whole kitchen staff safe from minor cuts and burns quickly and effectively. Bandages, blue and metal detectable bandages, compresses, tablets, eye care and burn relief products! Spare time and vacation have no space for worries, and if you carry any of our kits, you can be sure that in any fresh water or marine boat experience, you will be able to navigate in the safest way. Our Boat, Marine, & Coast Guard safety kits come in waterproof bags that will keep the contents dry and are reflective, which makes them very easy to find in the dark. 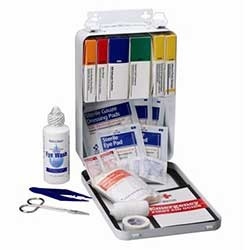 Anything you need in bandage materials, bleeding control, medical information, medications, wound care, CPR equipment and fracture/sprain situations are covered if you have one of our kits. 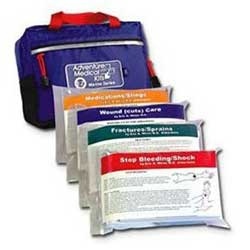 Wholesale Direct offers you a wide range of Vehicle Emergency First Aid Kits designed specifically to treat from motion sickness to minor as well as major injuries and vehicle emergencies. We have small kits, large, soft sided, metal, plastic, waterproof, you name it. Roads can be long and distant from any kind of road side assistance so truckers are subject to many different kinds of emergency situations. 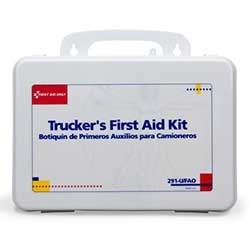 Pre-prepare yourself against any accidents and emergencies on the road with our first aid kits. Even an antacid can be handy when you are on the road, but always have the medical supplies you need for minor cuts or burns. We even have waterproof and steel kits that will never allow the contents to get damaged. 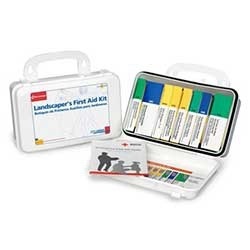 If you are a gardening enthusiast no matter if you do it professionally, or just enjoy taking care of your garden, here you will find the perfect first aid kit for you. Welders work with very special tools, which can end in accidents and a very specific range of injuries such as minor cuts, sprains, welder's arc and other common eye irritations. Our kit makes your job easy and safe. Industrial strength workers deserve industrial strength care. Unfortunately we are experiencing more and more situations in which immediate medical response is a matter of life or death. Being prepared for any emergency, no matter if it is outdoors, at work or at home is critical. 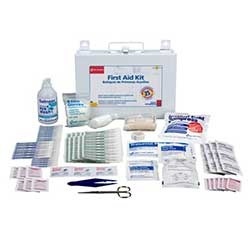 In this section, you will find portable first aid kits equipped with bleeding control compresses, bandages, CPR equipment, biohazard bags, gloves, trauma equipment, emergency blankets, hot and cold compresses, dressing pads, antiseptics, first aid guides and booklets and much more, including our Suture Syringe Medic Pack for extreme survival medical response. 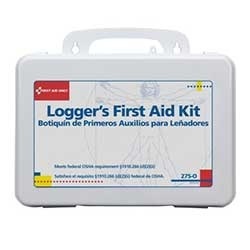 Loggers require a very specific supply in their first aid kit in sturdy plastic cases protected from moisture, to keep your first aid materials dry and sterile. 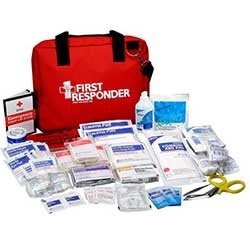 Find the kit that better suits your needs, either personal or for your home, school or any kind of business, as well as special first aid emergencies like CPR, disaster, trauma, first responder, protection and eye care kits. 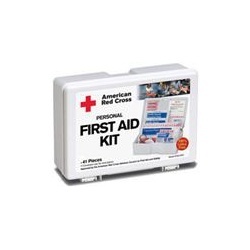 Be Red Cross Ready, because Who knows more and better about First Aid? 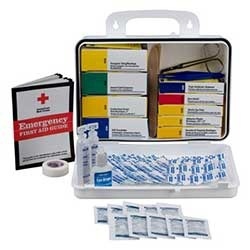 We carry American Red Cross Emergency First Aid Kits & all the Emergency Supplies for you to keep your kits fully supplied for any emergency. Wholesale Direct carries a great variety of empty metal or plastic cases and bags for emergency first aid, survival, first response, training and any other use. Keep it dry, tight and handy! The law requires it - we make it simple. 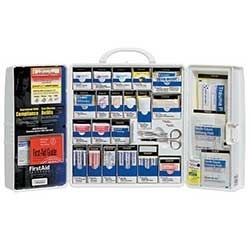 SmartCompliance™ is the ONLY First Aid Program that GUARANTEES your OSHA Compliance - If you get Fined... You Don't Pay!™ These fully stocked, wall-mountable first aid cabinets comply with Federal OSHA 1910.151, ANSI Z308-1-2009 & even the stringent Cal/OSHA 3400 section guidelines. Keep your cabinet up to date with OSHA Compliant Ez Refill units. Individual SmartTab refills and automatic Refill Reminder™ for OSHA SmartTab refills. Each cabinet comes with a $1,000 OSHA Guarantee.